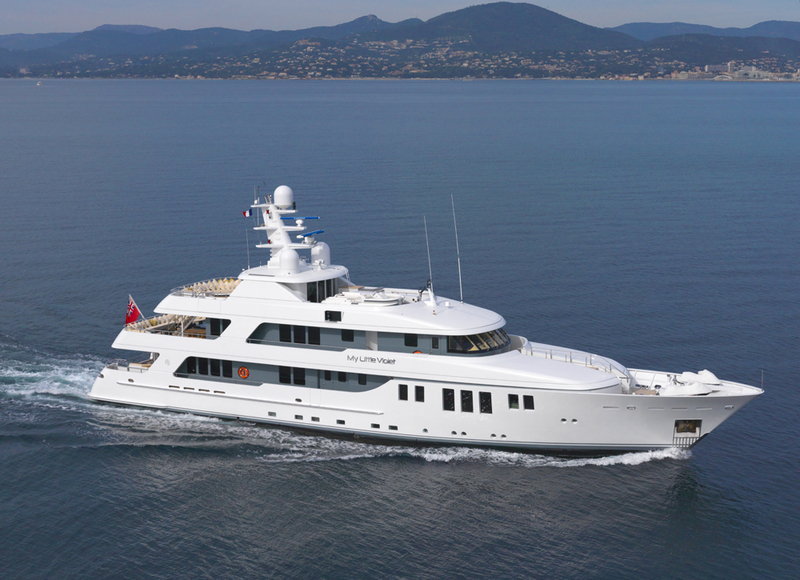 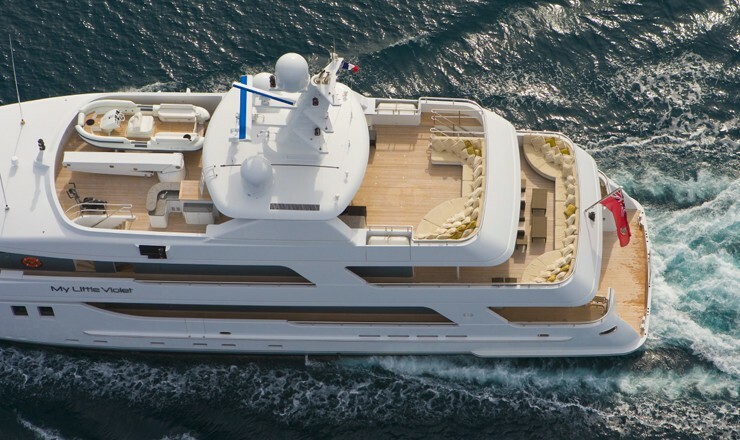 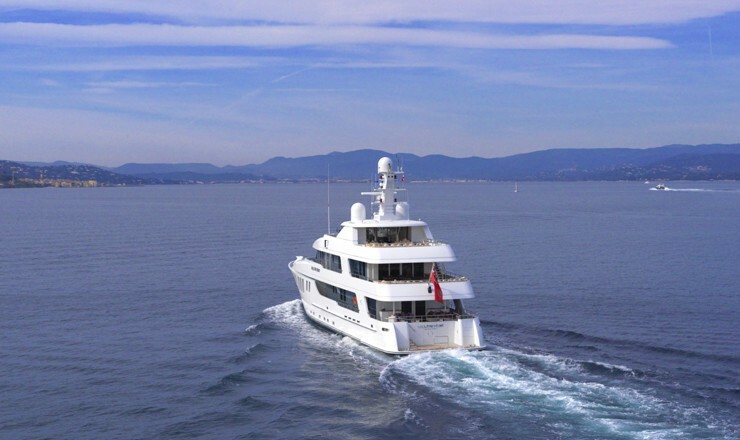 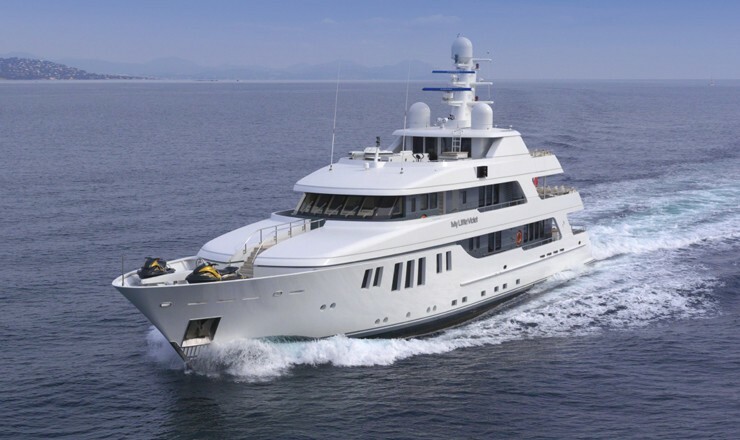 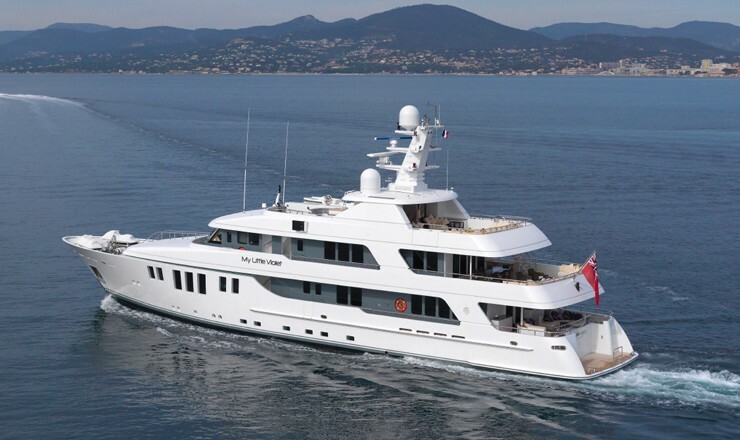 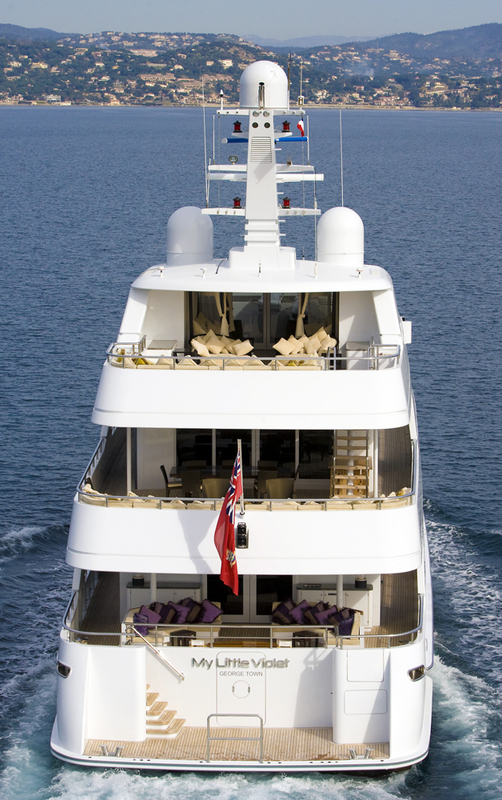 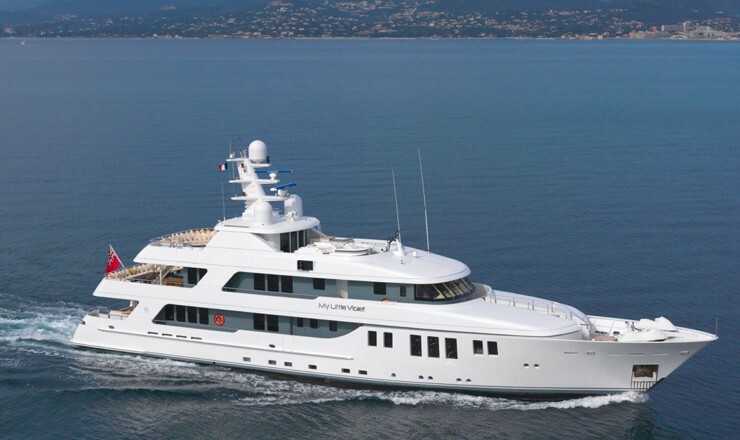 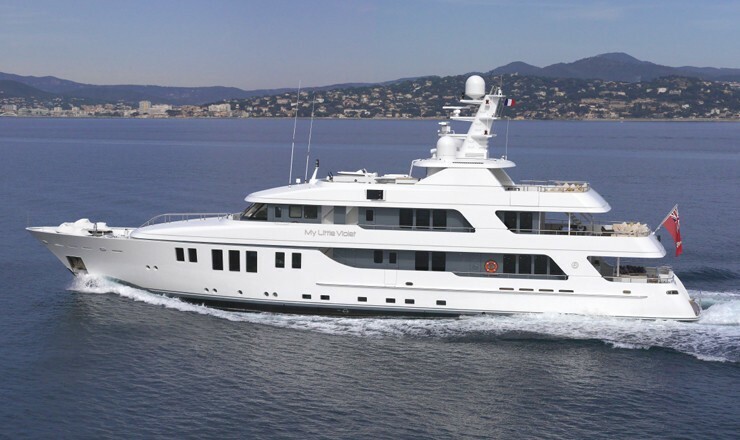 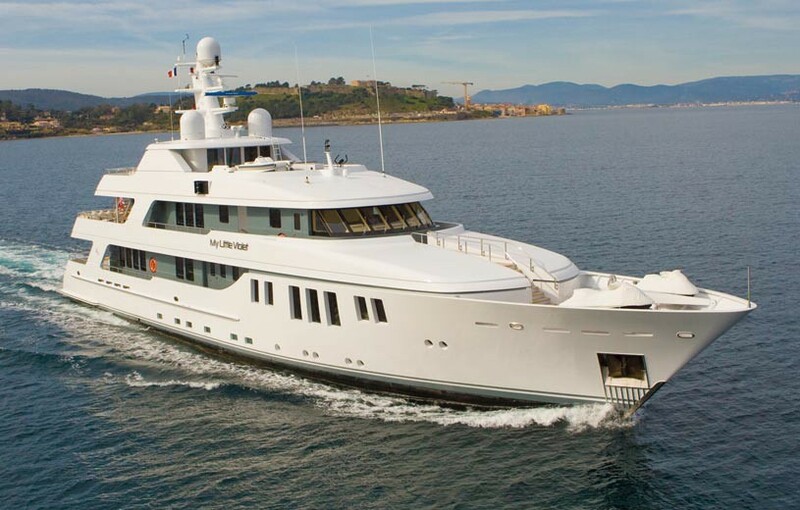 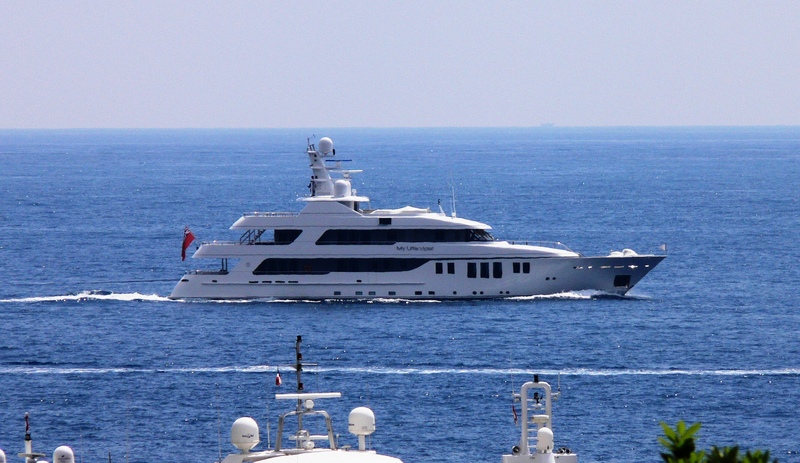 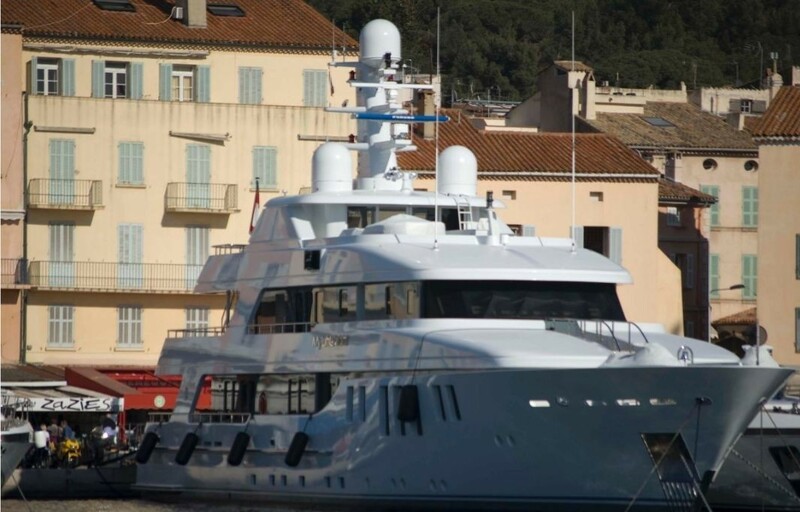 Luxury motor yacht MY LITTLE VIOLET is a 2006 built 45m (149' 7") Abeking & Rasmussen. 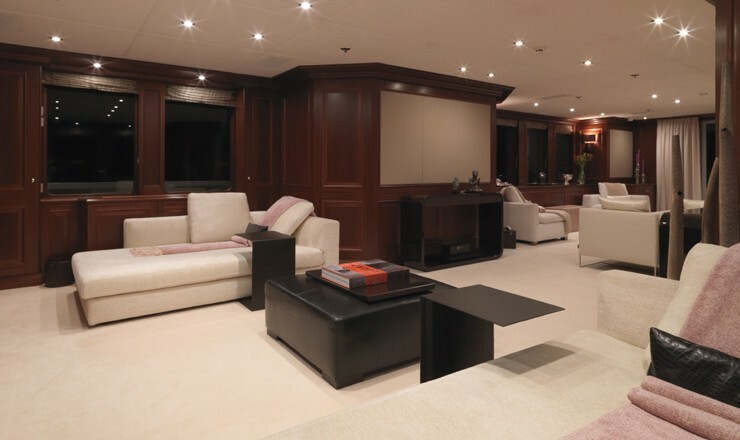 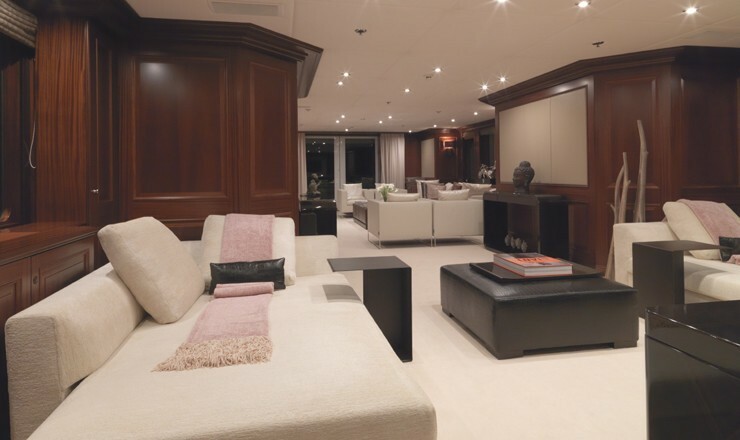 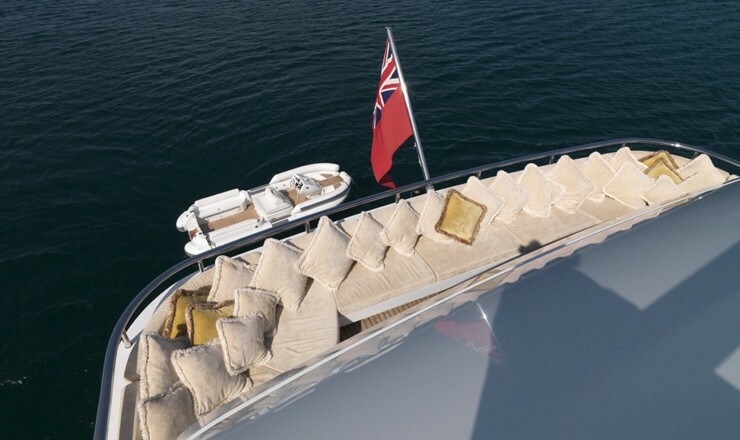 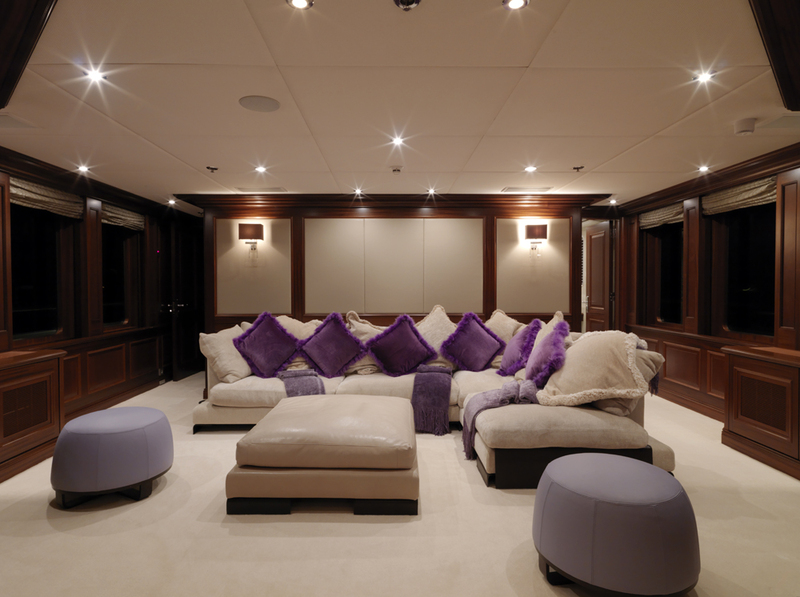 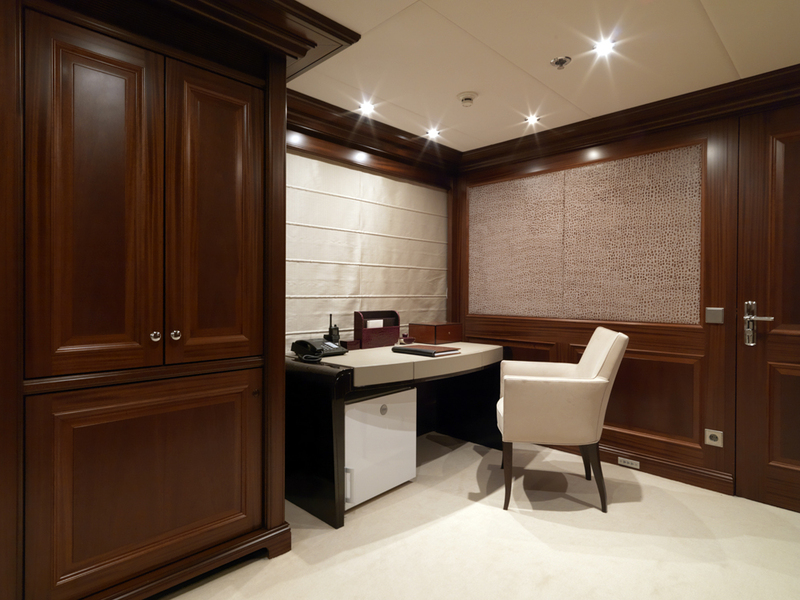 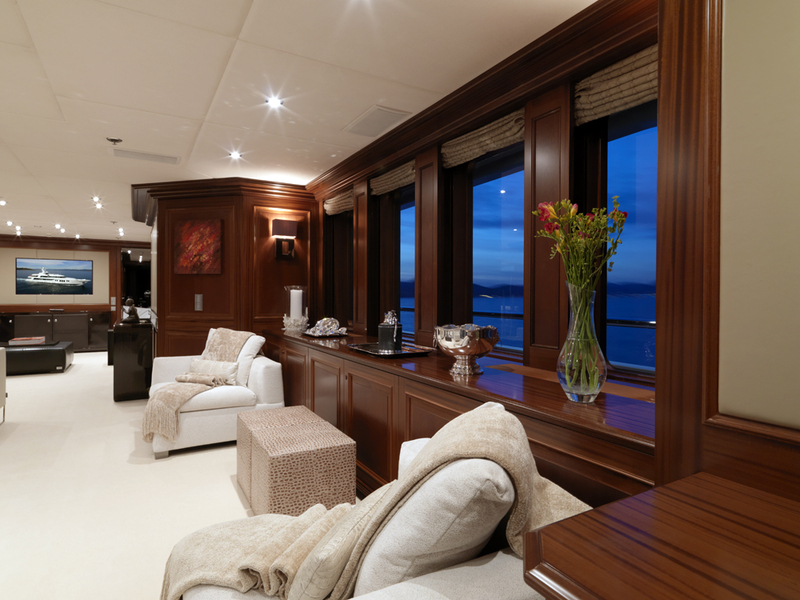 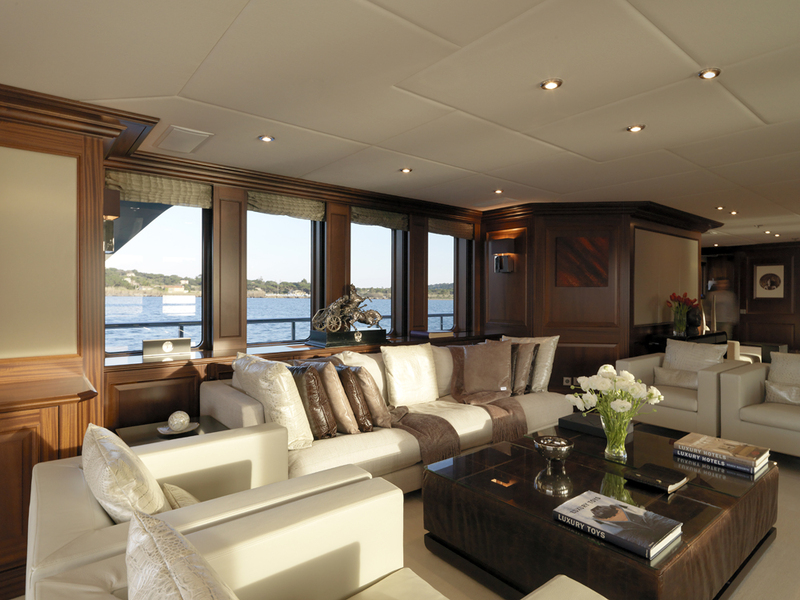 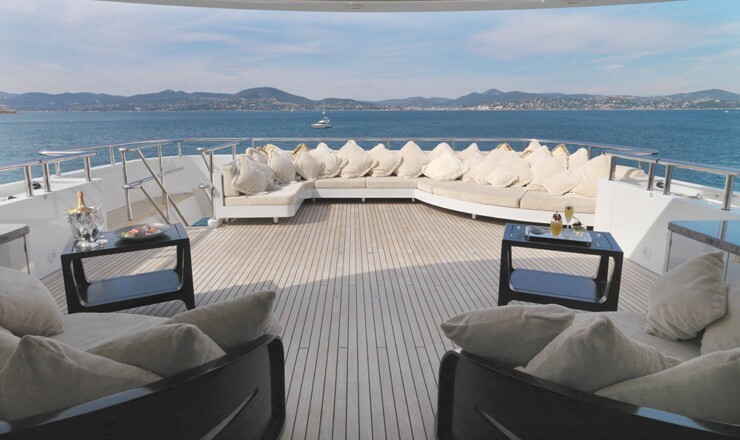 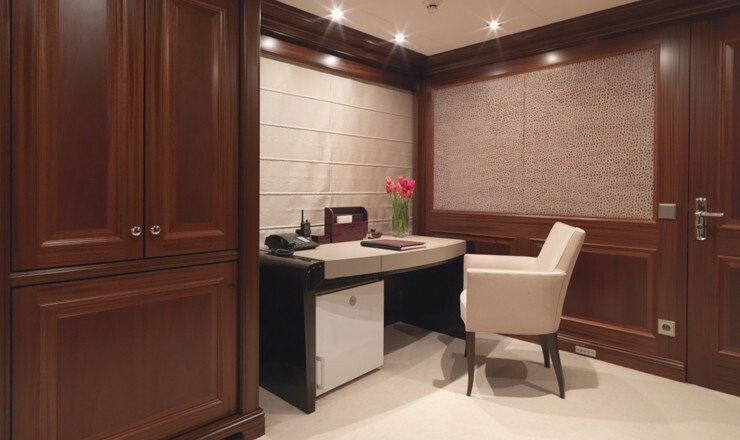 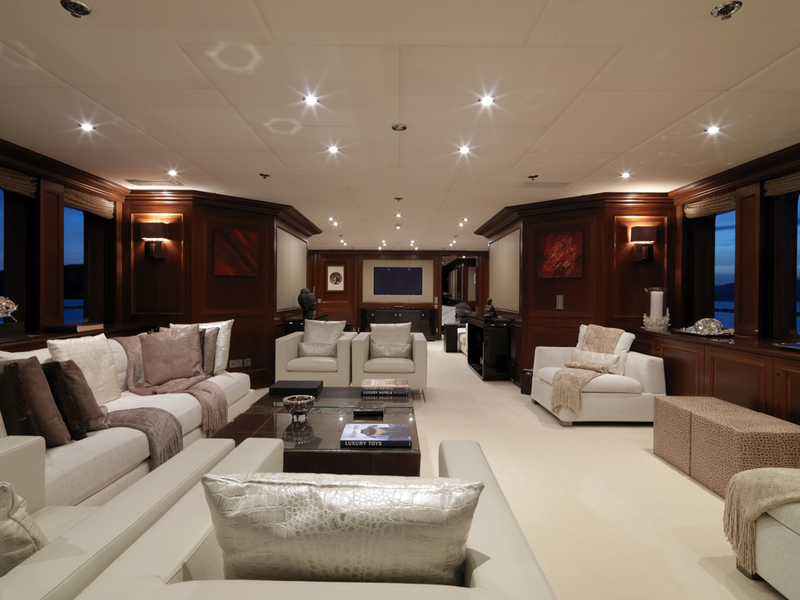 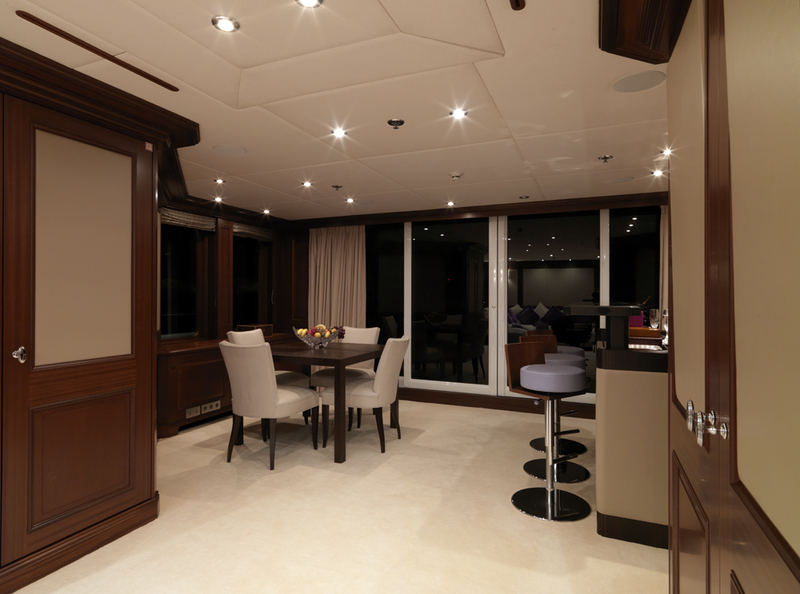 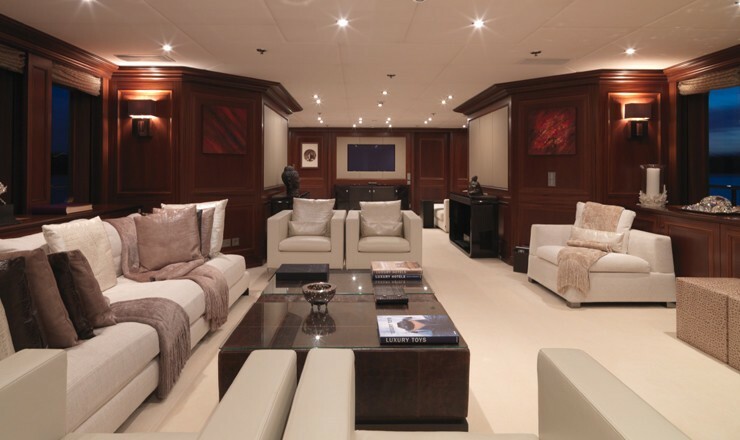 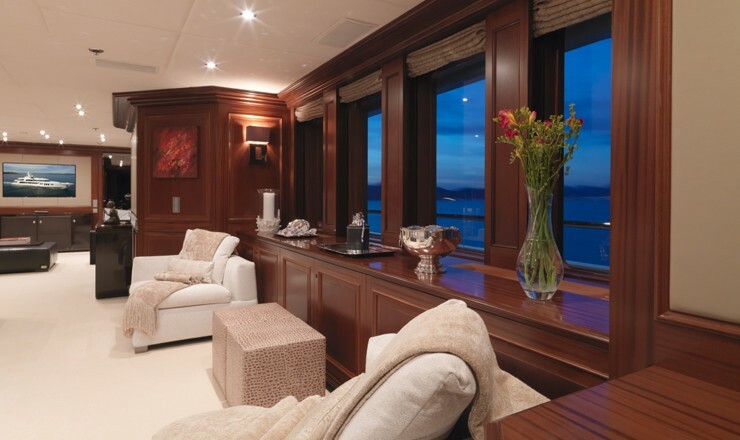 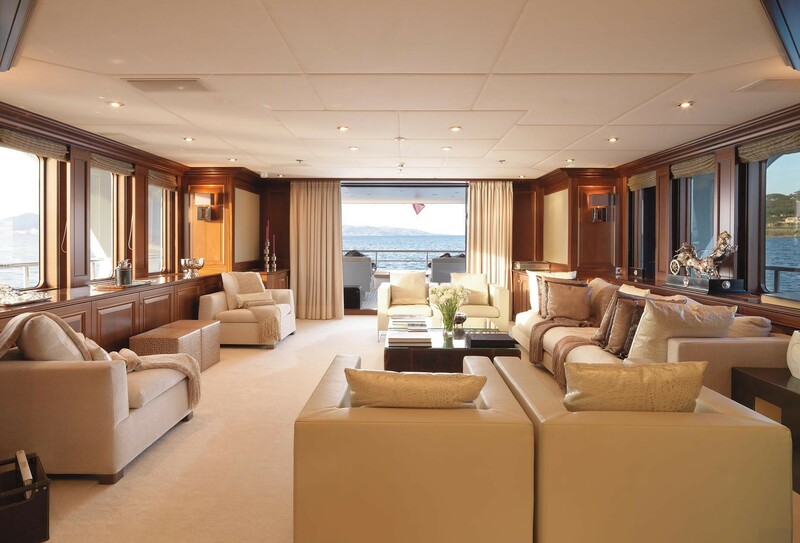 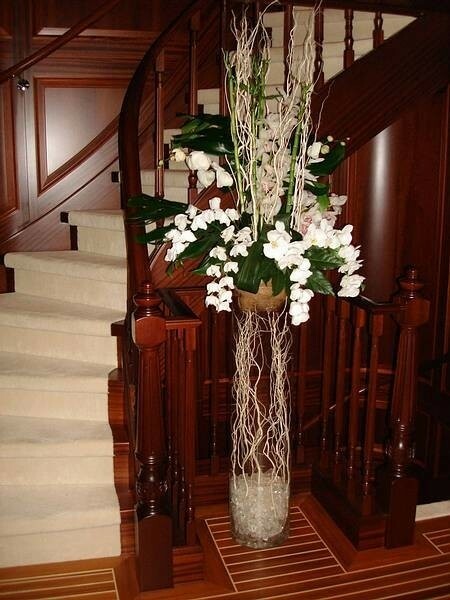 The yacht’s interior design is by Reymond Langton Design and can be described as modern and simple. 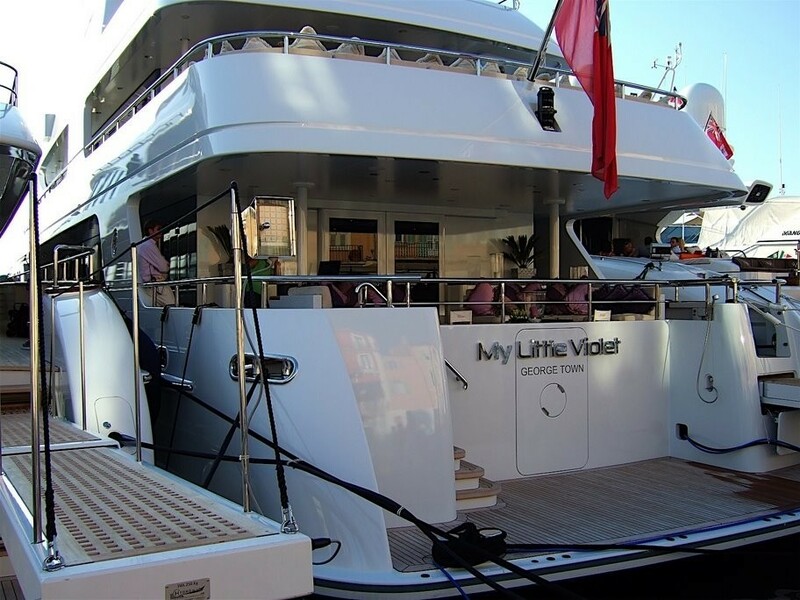 MY LITTLE VIOLET is a contemporary yacht built in by the famous Abeking & Rasmussen yard in Germany. 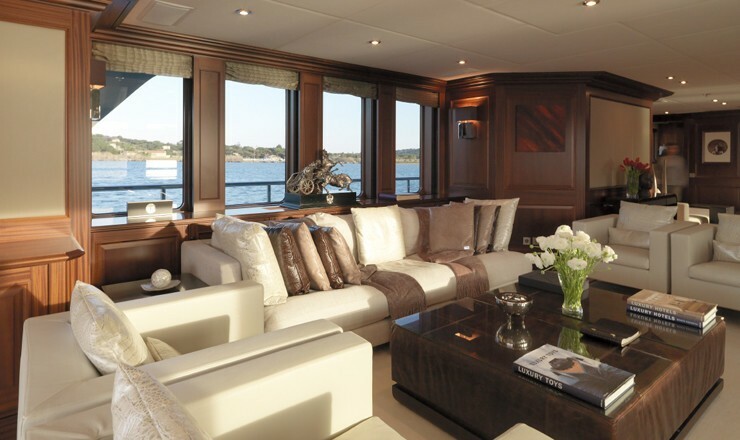 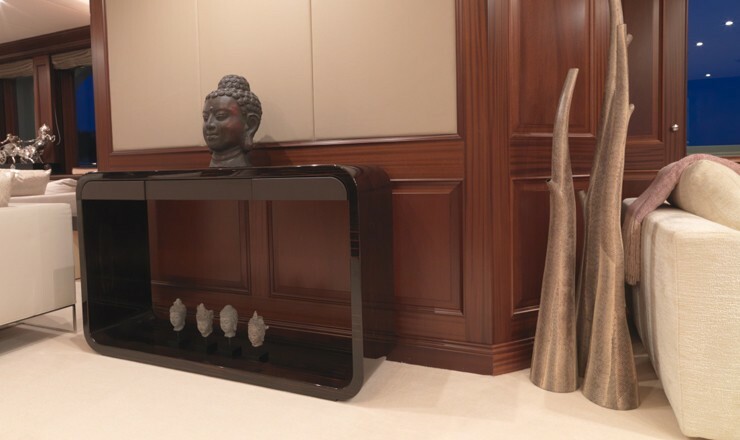 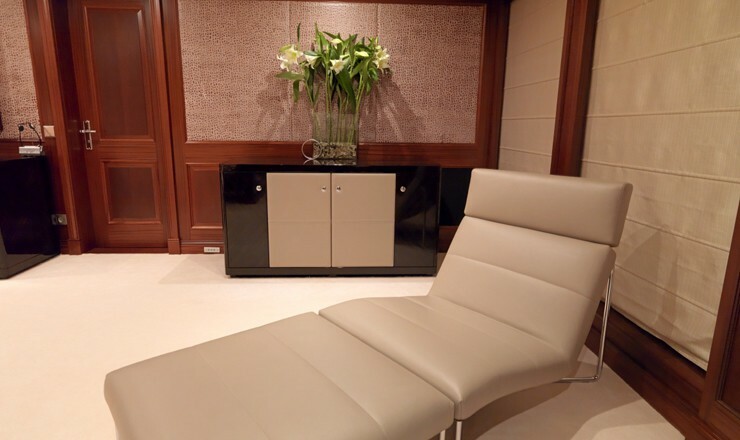 The interior has been elegantly designed and decorated in tactile materials such as suede, soft silk and leather to create a warm and comfy atmosphere. 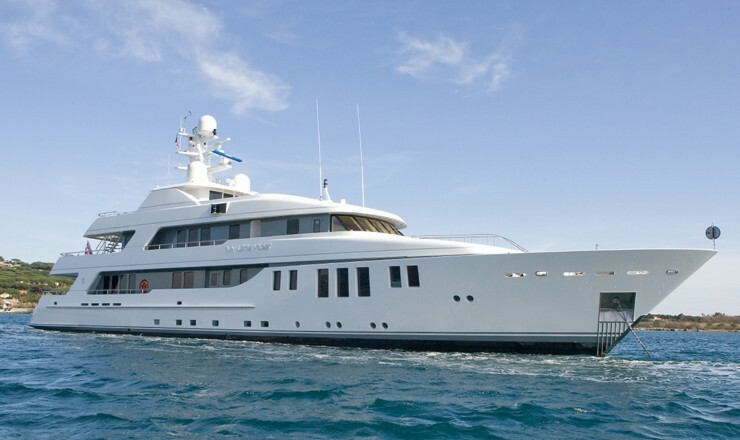 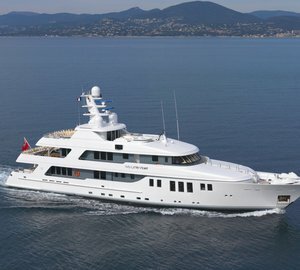 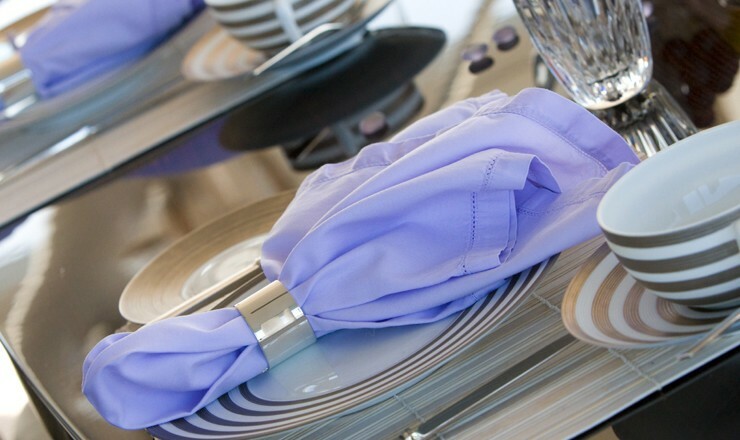 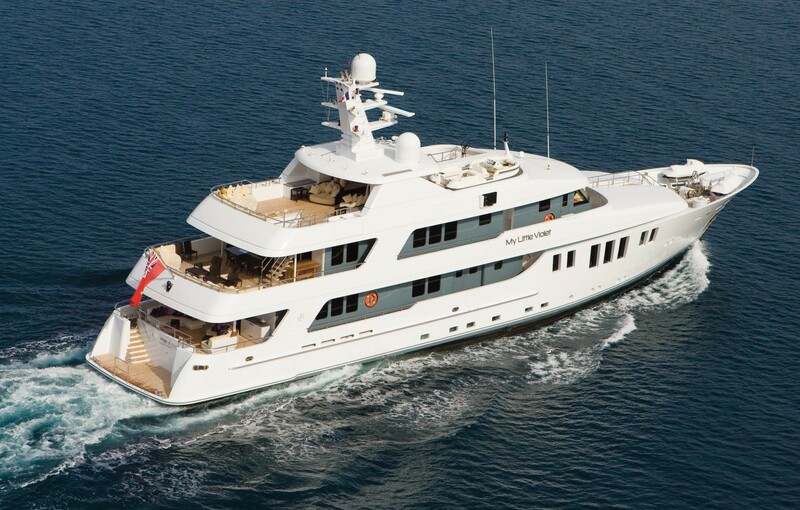 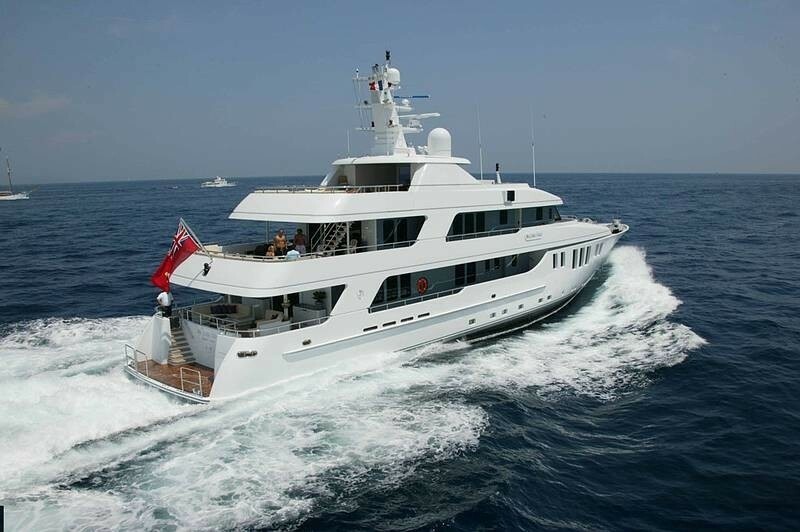 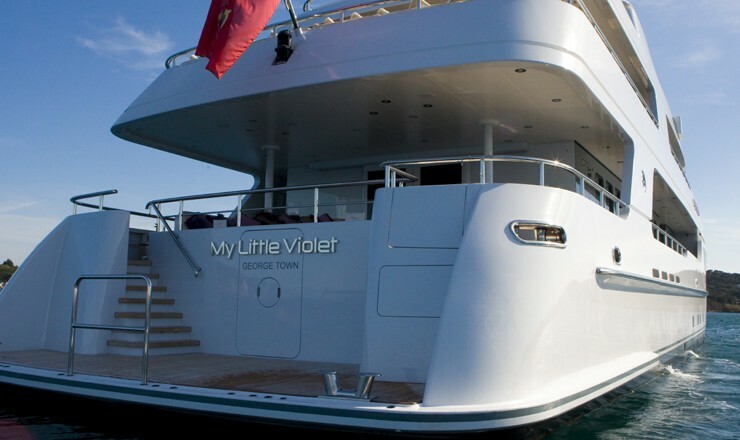 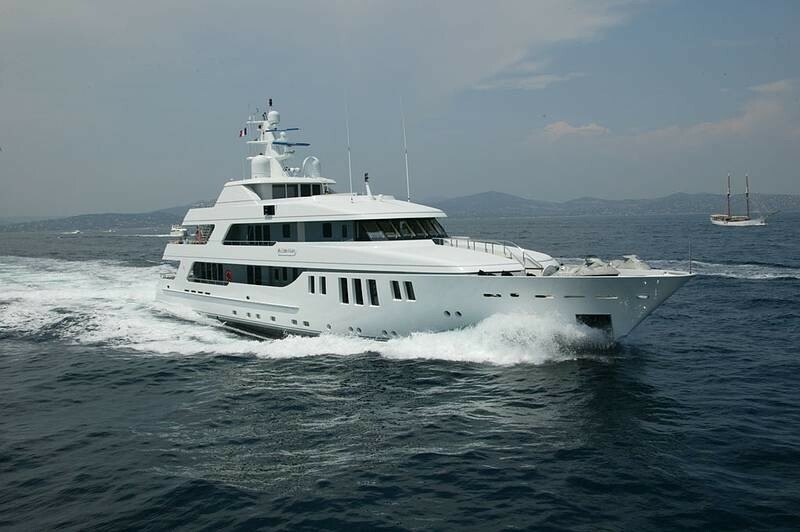 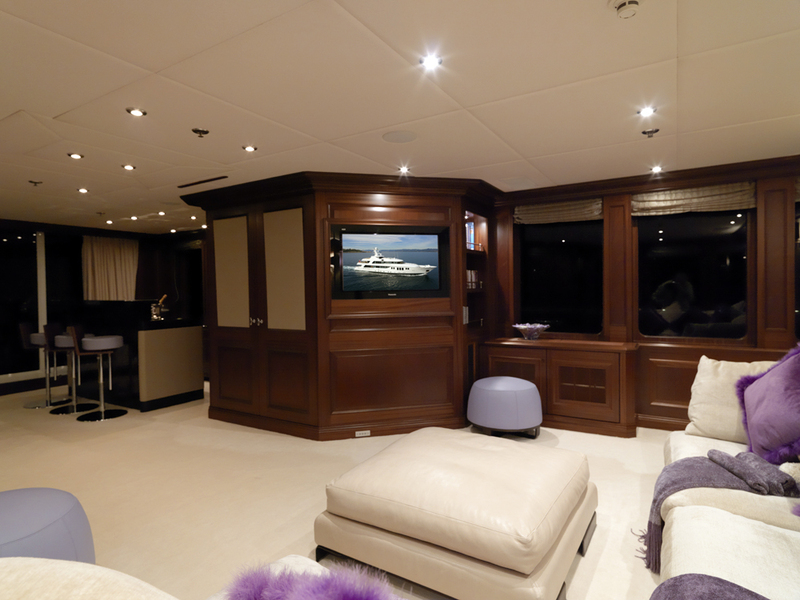 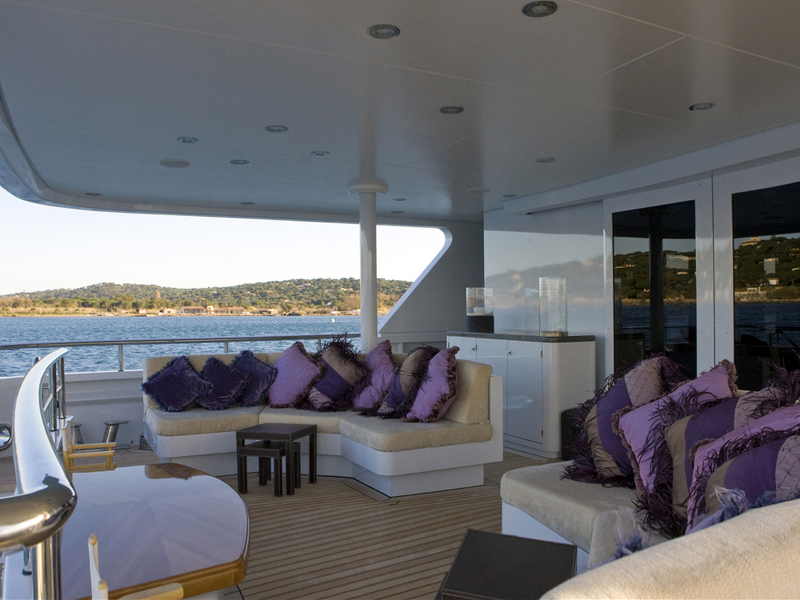 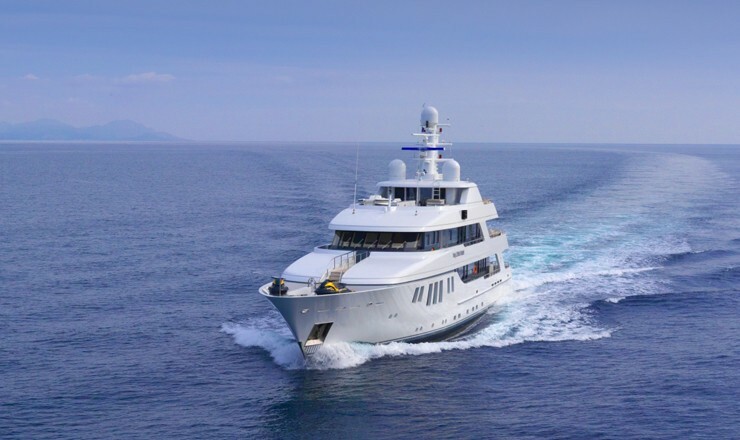 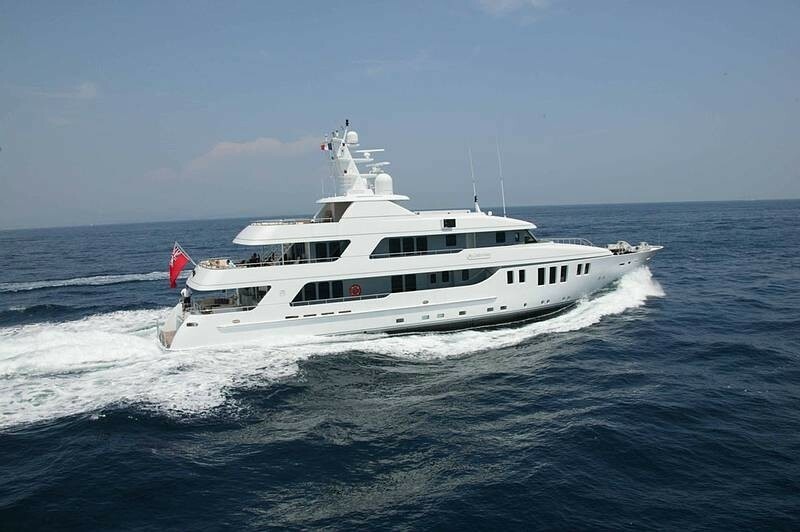 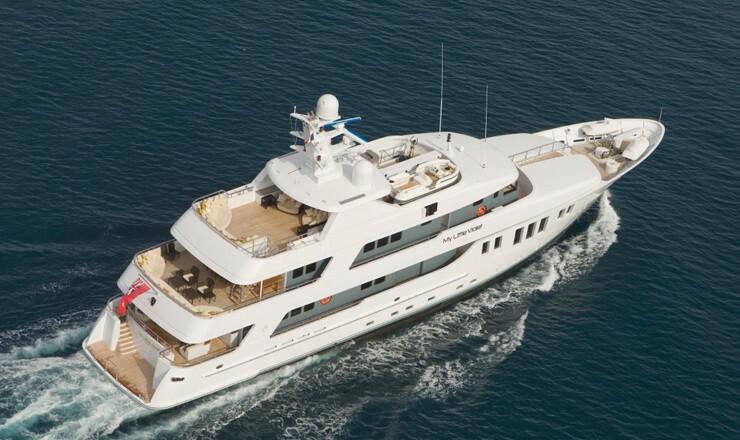 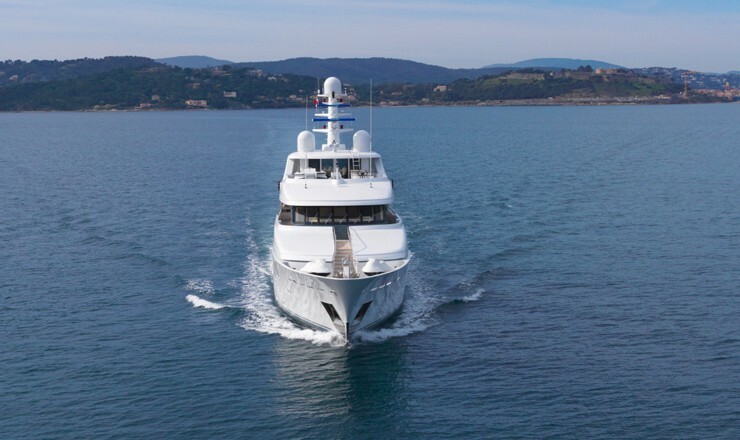 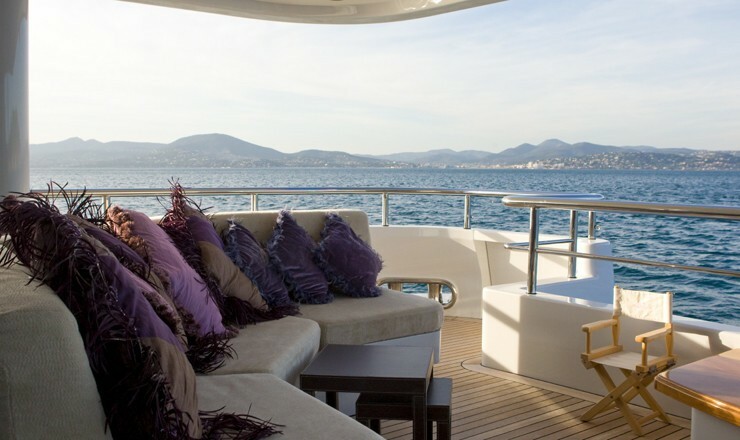 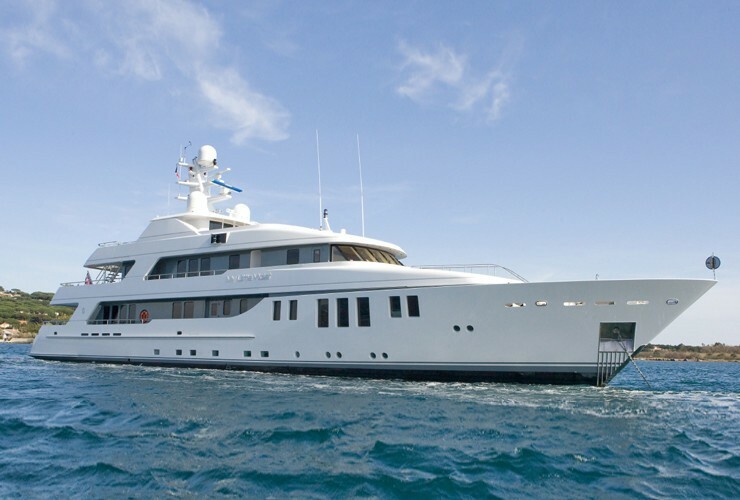 MY LITTLE VIOLET is able to accommodate up to 10 charter guests in 5 cabins. 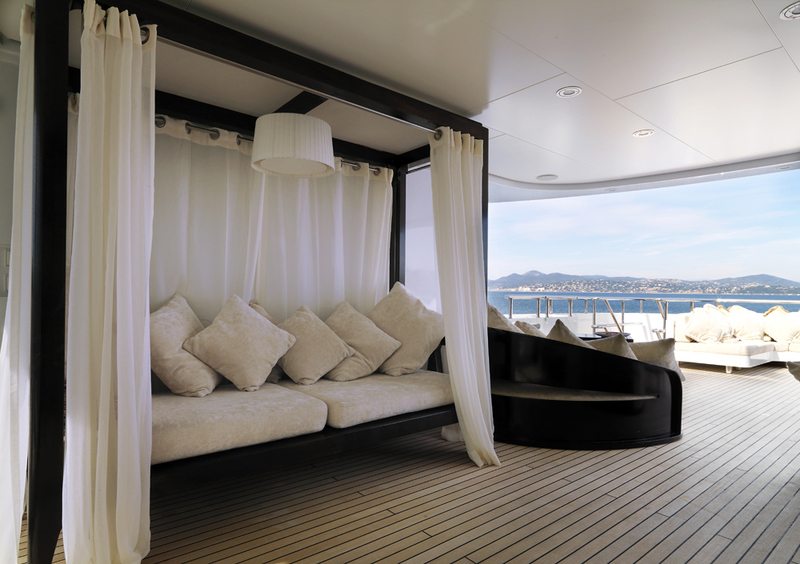 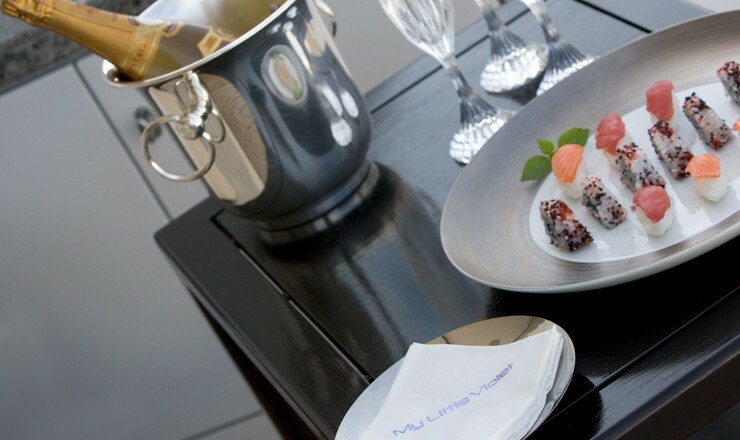 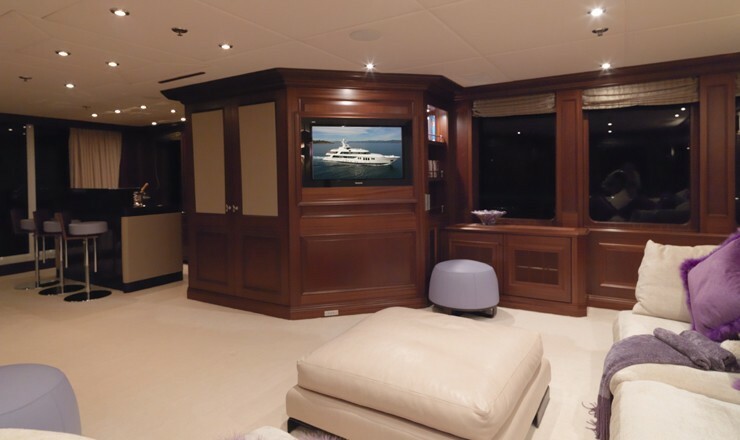 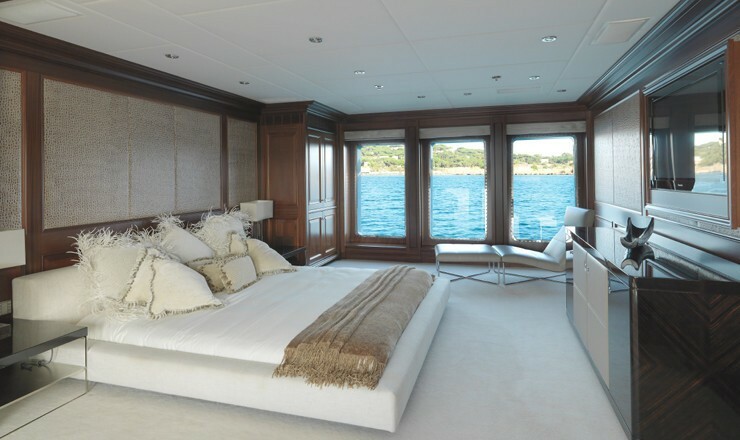 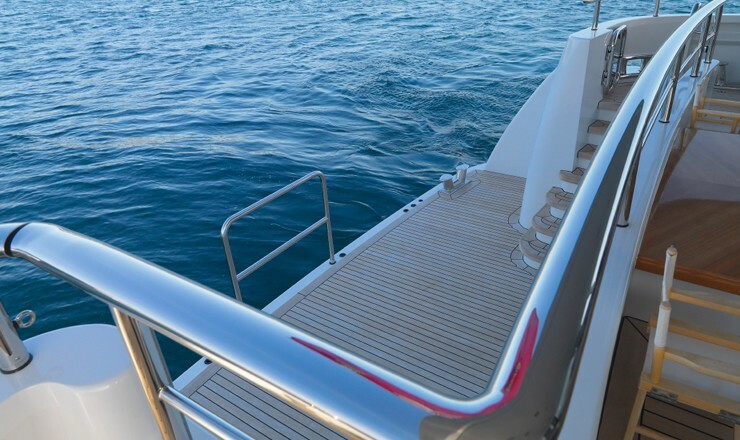 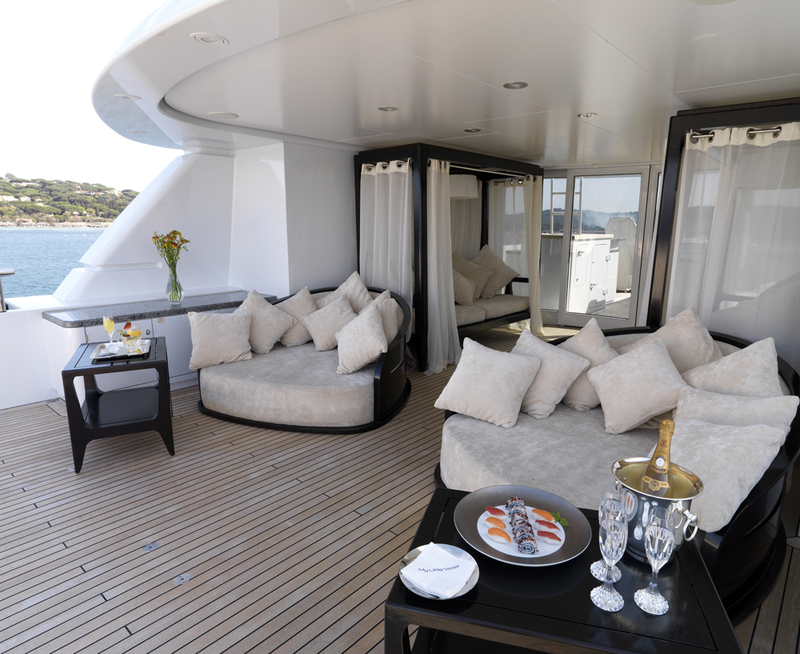 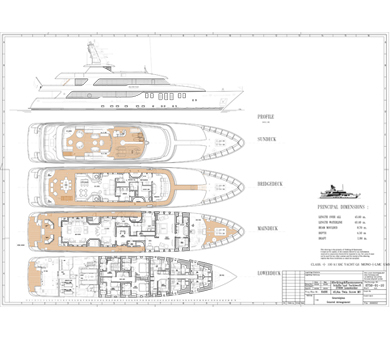 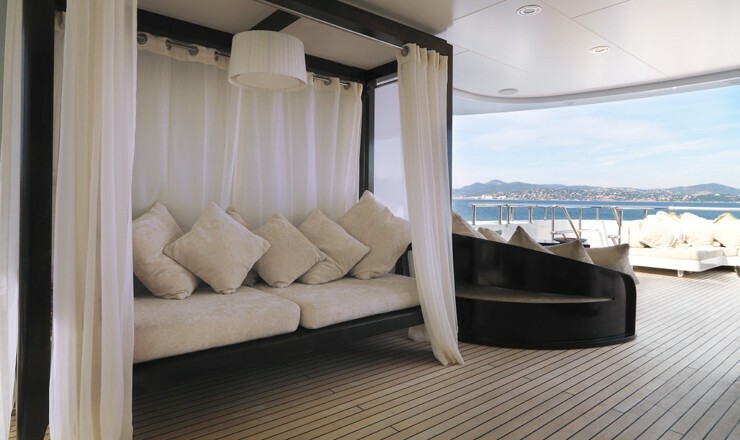 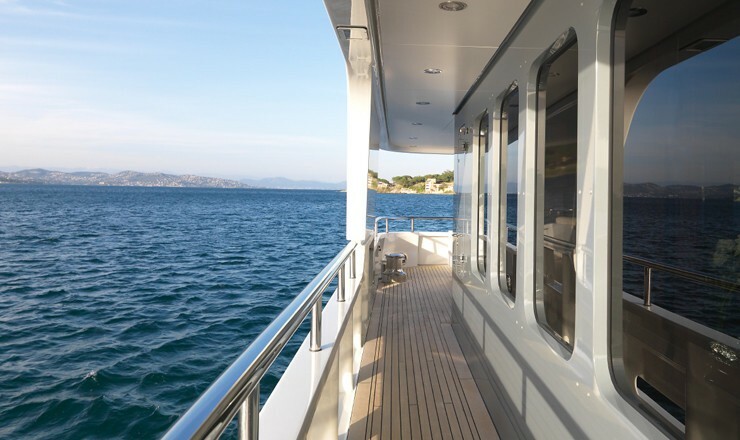 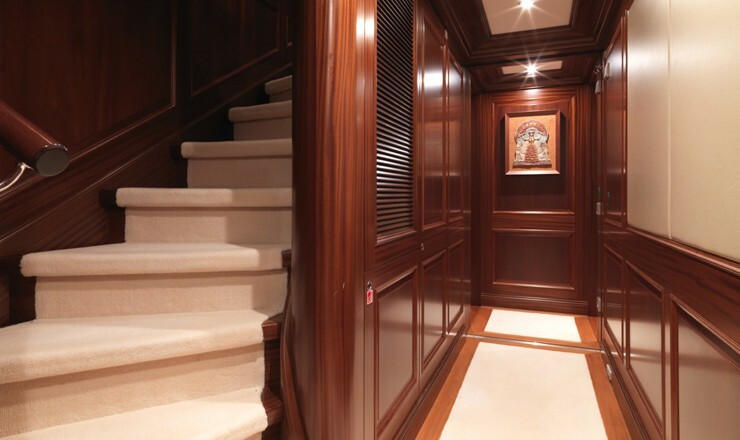 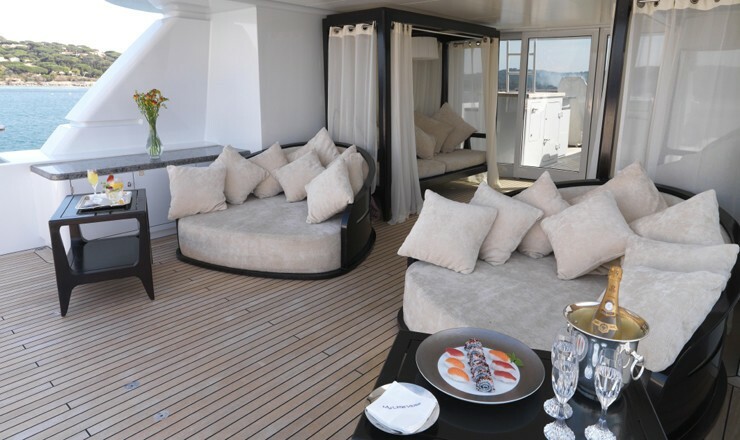 The Master Cabin is postioned on the yacht’s main deck and features ceiling to floor windows and marble en suite bathroom with Spa Pool bath, shower and walk in wardrobe. 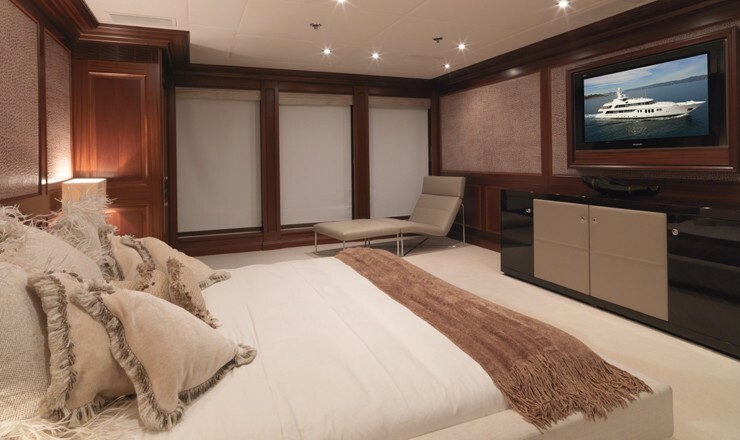 The VIP Cabin: King on lower forward deck, ensuite with bidet+ shower. 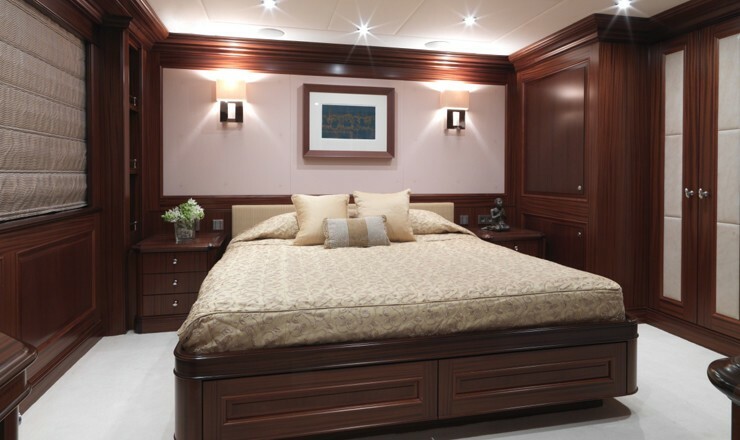 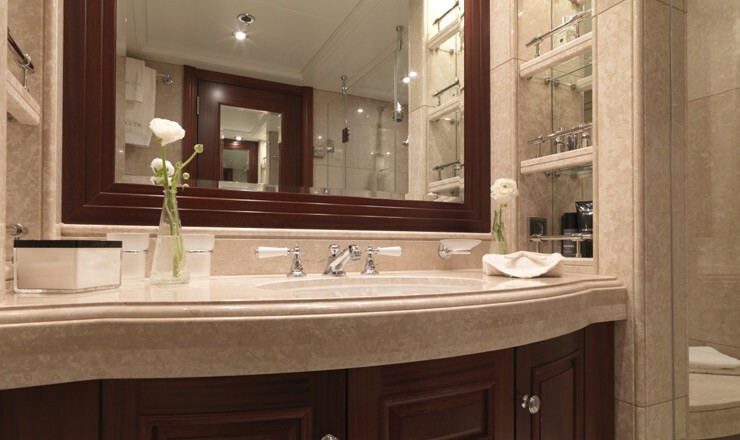 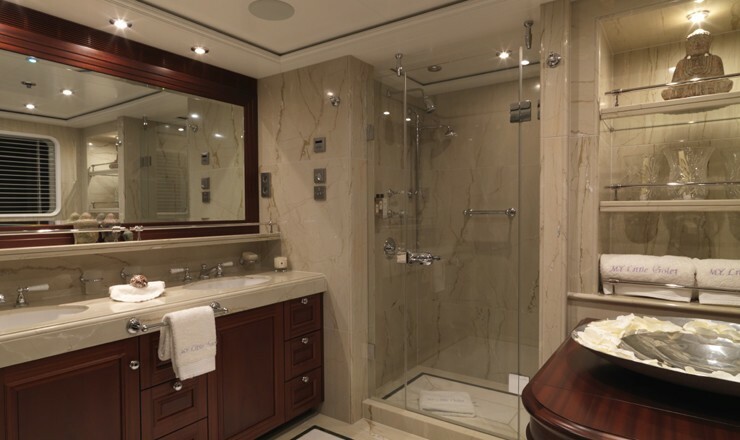 There are also 2 Doubles on the lower deck forward + ensuite bathroom 1 Twin + ensuite. 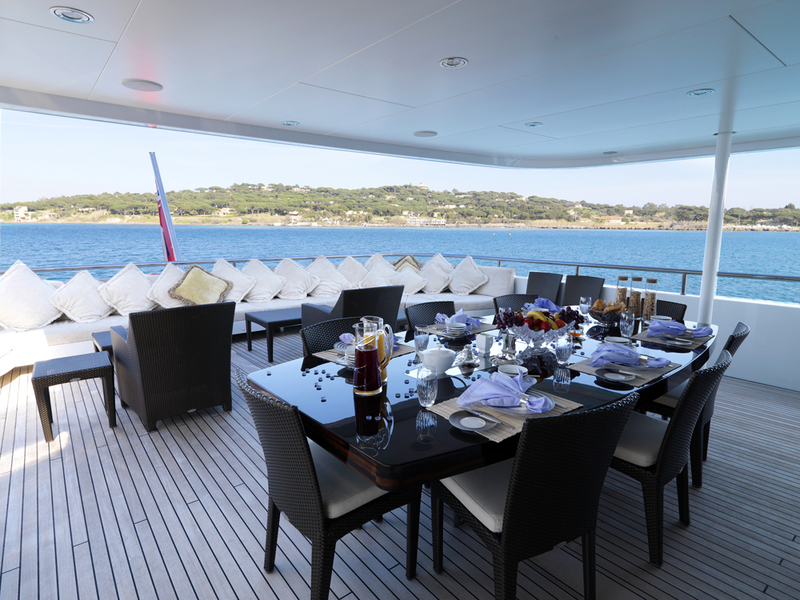 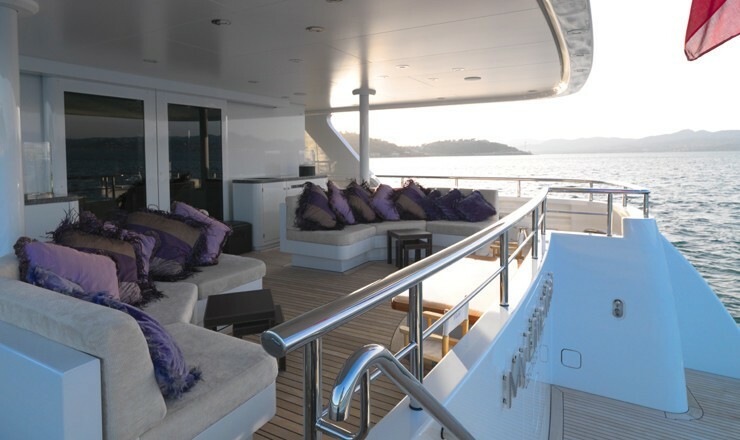 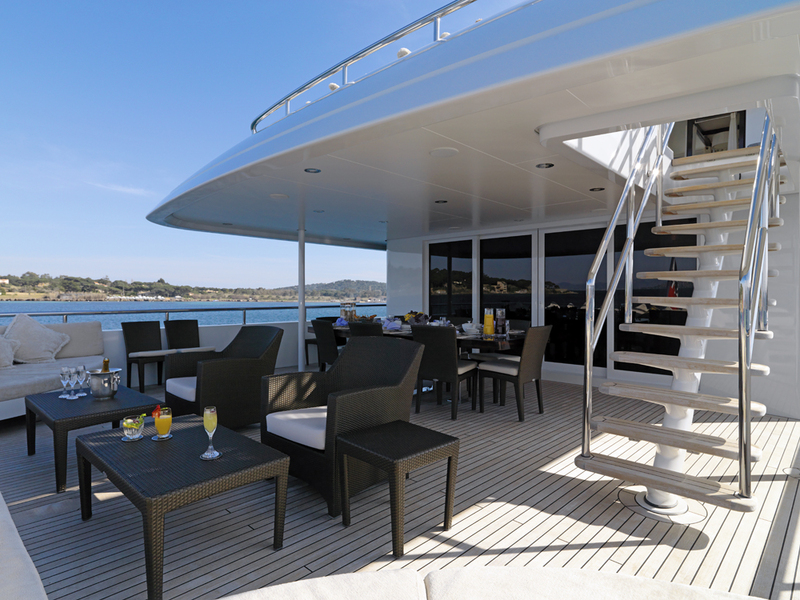 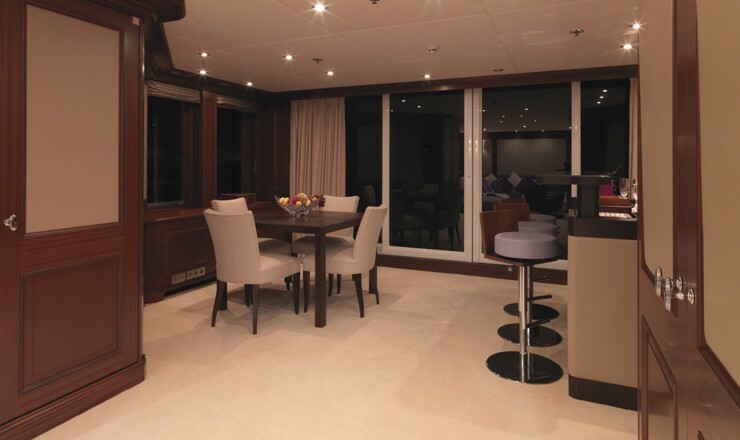 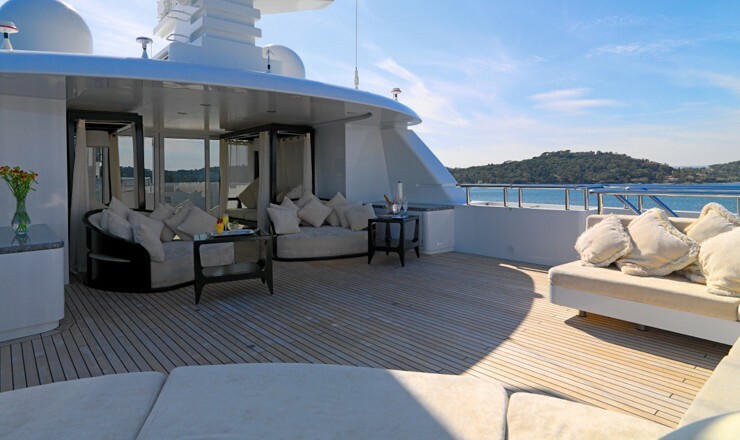 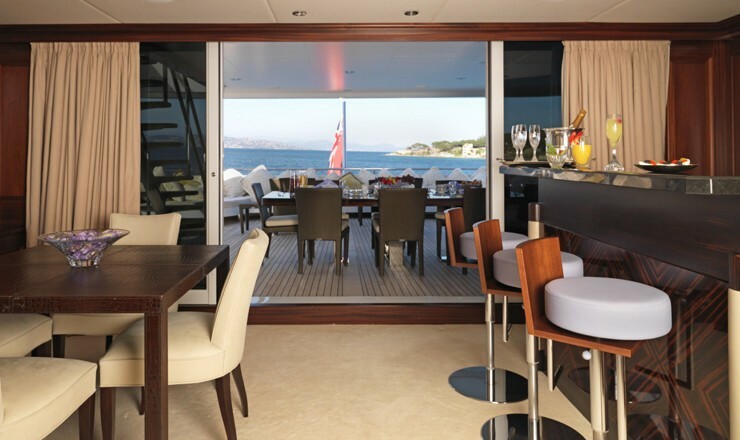 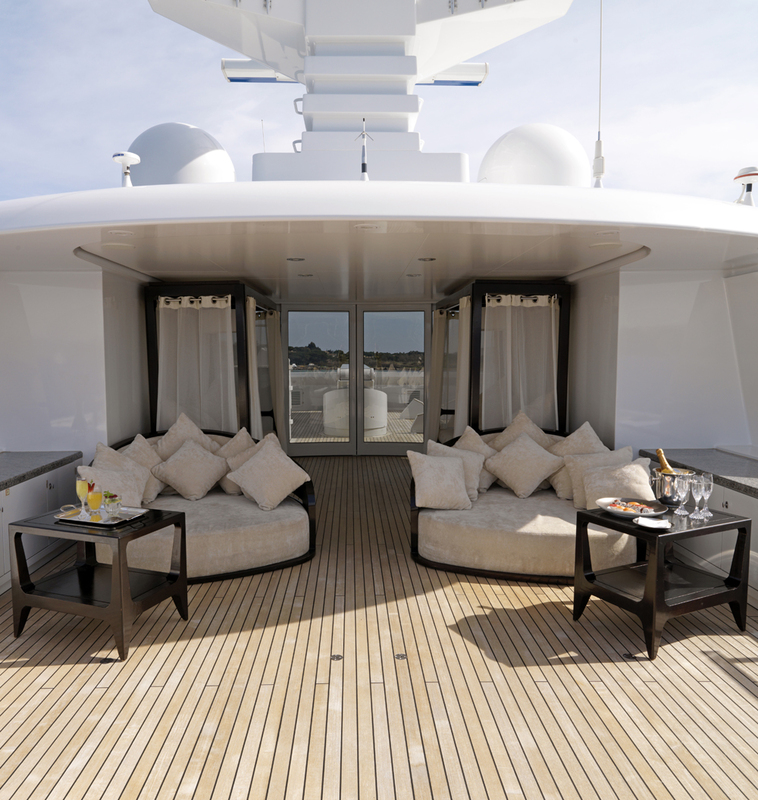 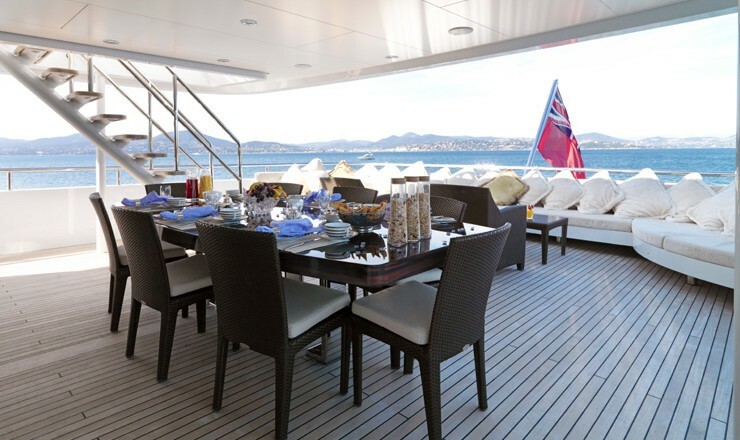 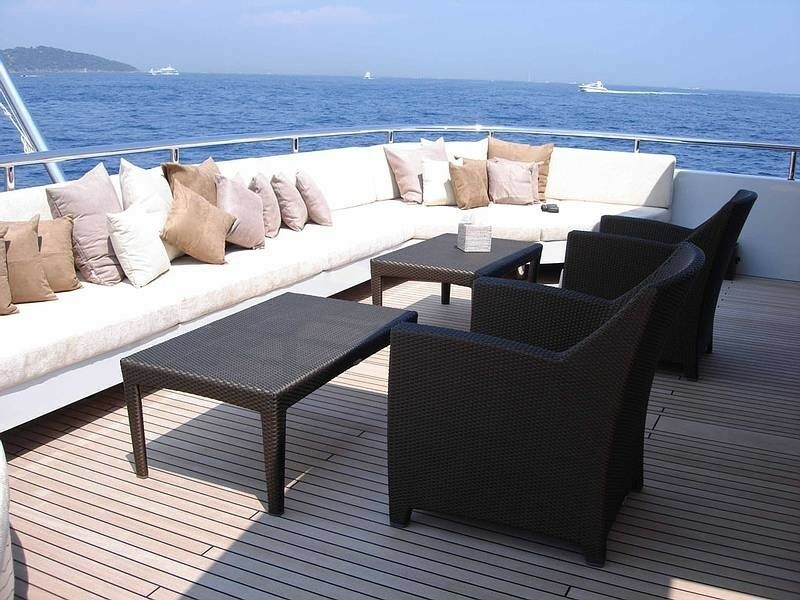 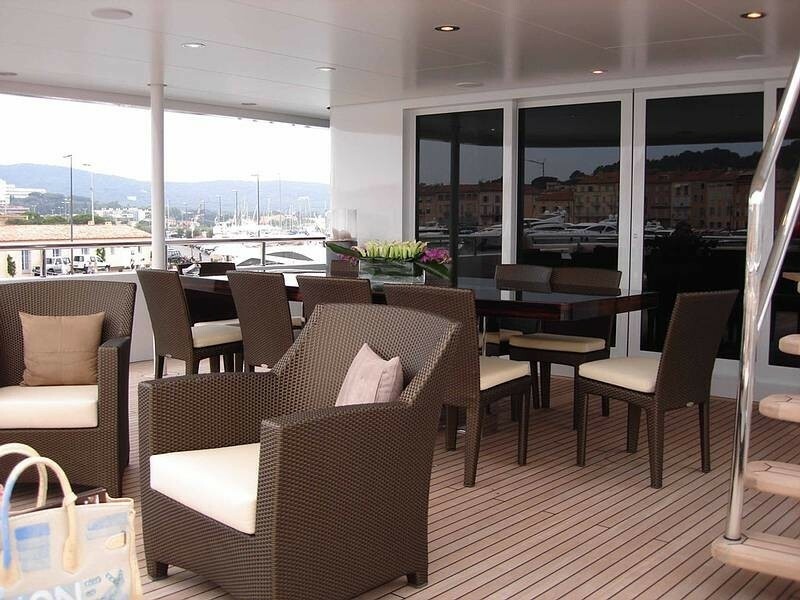 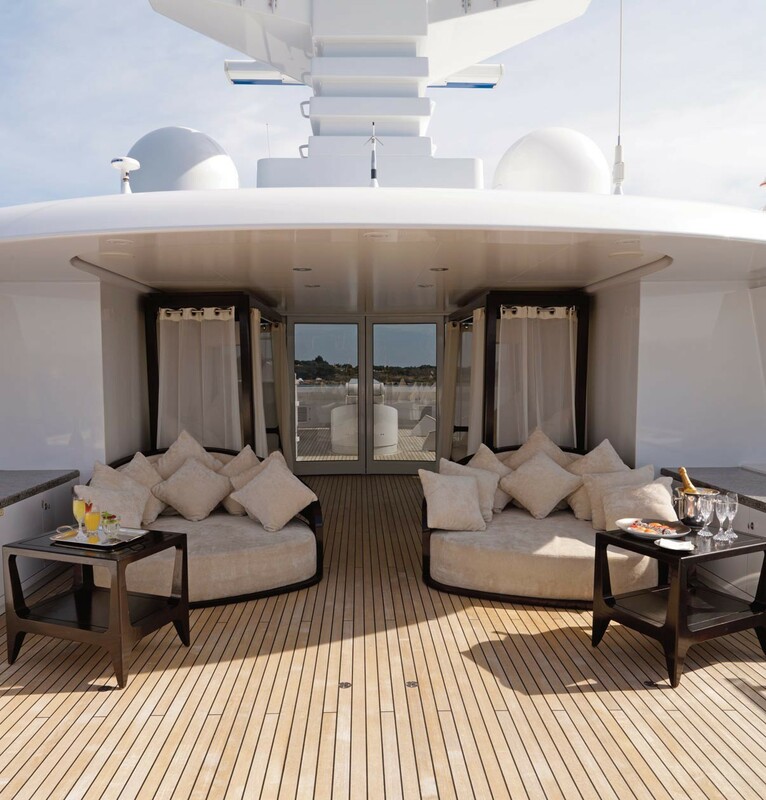 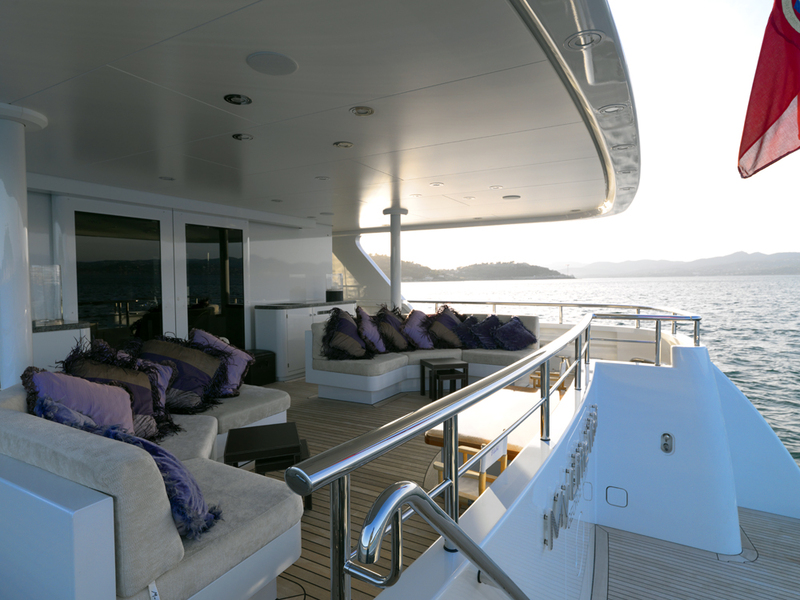 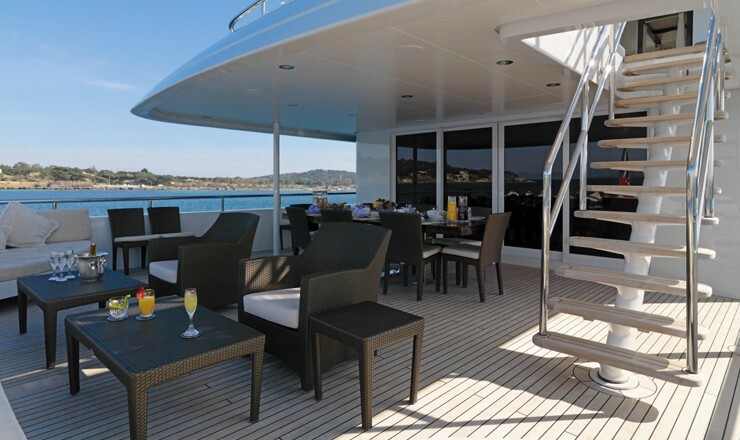 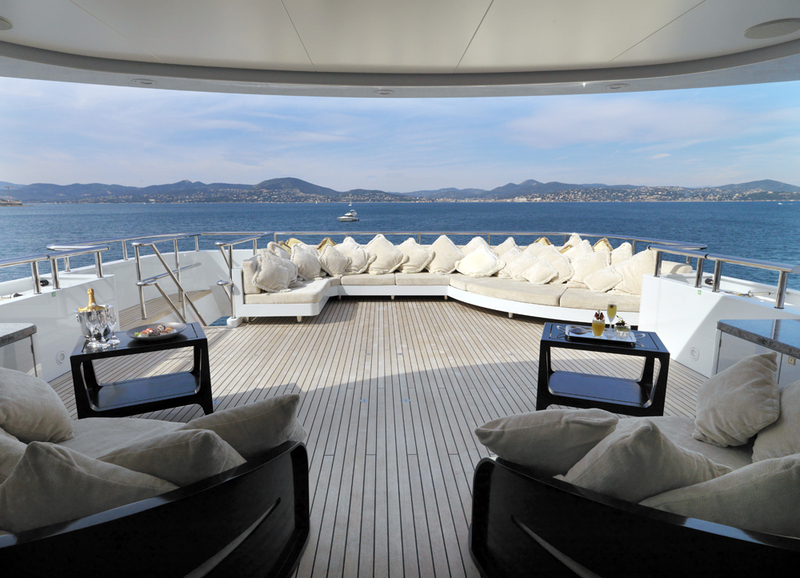 The extensive deck space for relaxing is surprising and the outdoor dining area joins to the main saloon to make a double lounging area. 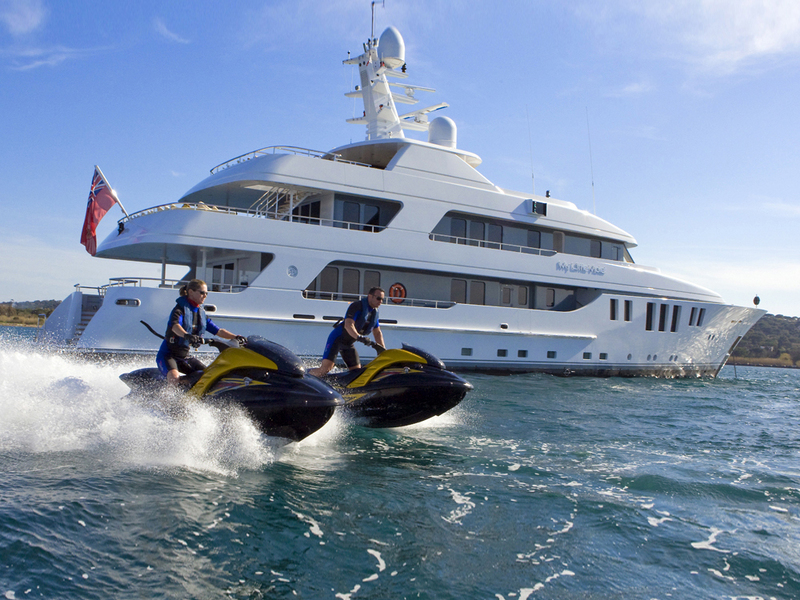 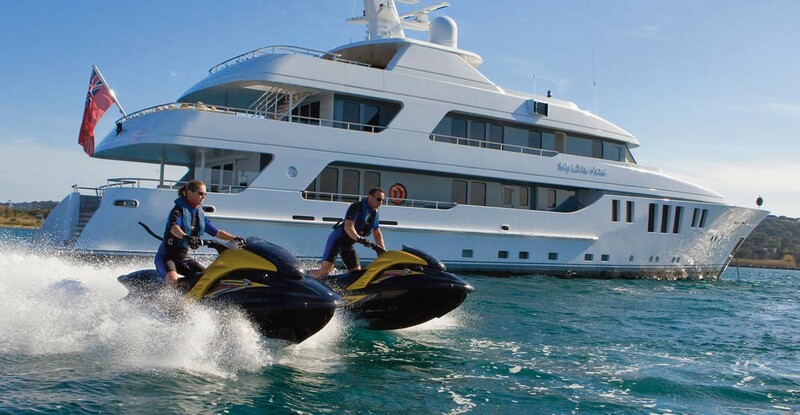 This luxury motor yacht also offers a professional, friendly crew and a good list of water toys.